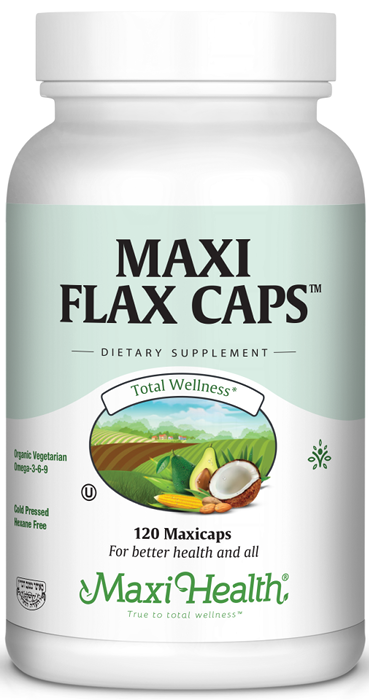 If you are looking for flax seed oil in convenient capsules, try Maxi Flax Caps™ Flax seed oil is a natural source of Omega fatty acids. It contains omega-3, 6, and 9 essential fatty acids. Take two (2) Maxicaps™ once or twice a day, preferably with a meal, or as directed by your healthcare practitioner..
Other Ingredients: Vegetable cellulose (capsule), d-alpha tocopheryl acetate, and silicon dioxide. This product contains NO soy, animal products, wheat, gluten, yeast, salt, sugar, milk, artiﬁcial ﬂavors, colorings or preservatives. Since I'm allergic to certain fish, Omega Fish Oil was not the best thing for me. Someone gave me advice to use the Flax Caps I'm very happy.